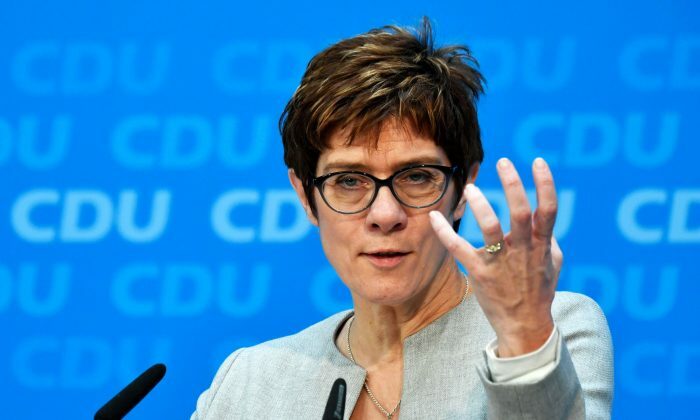 BERLIN—The new leader of Germany’s ruling Christian Democrats, Annegret Kramp-Karrenbauer, unveiled plans for a tightening of immigration rules, part of a move to distance the party under her leadership from her mentor and predecessor, Chancellor Angela Merkel. But officials hope the plans, announced after two days of internal party discussions to which Merkel was not invited, will show the party has moved on from the Chancellor’s signature decision to let in over a million refugees in 2015. Both coalition parties are gearing up for four European and regional elections this year which could determine the fate of the loveless marriage they sealed after both seriously underperformed expectations at last year’s election, leaving theirs the only possible alliance in a fragmented parliament. Like the CDU, the SPD has been trying to rebuild support, pushing for more generous unemployment benefits and pensions—appealing to some of its core voters, but anathema to the CDU’s pro-business wing. The CDU’s also proposes to make it possible to expel asylum seekers if they commit a crime carrying a prison term of more than 90 days, after which they would be prevented from re-entering. Kramp-Karrenbauer’s election as CDU leader put her in pole position to become Germany’s next chancellor and she is trying to put her own stamp on the party. Merkel has said she will not seek re-election after this parliamentary term, ending in 2021.